SCT Offers Missouri Premiere of "The Legend of Georgia McBride"
Director Rick Dines and actor Mark Gideon. 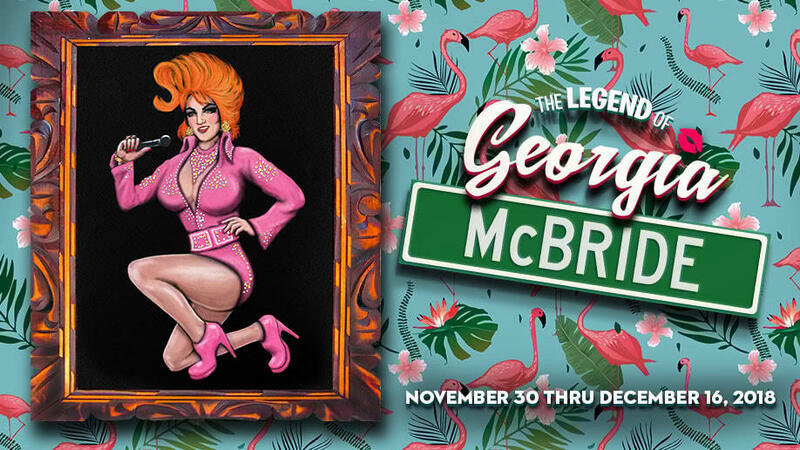 Rick Dines calls "The Legend of Georgia McBride" "one of the funniest plays I’d seen in years," and he's directing the Missouri premiere of the comedy at SCT Center Stage. The cast includes Roland Netzer as Casey—“who becomes ‘Georgia McBride’.” (Dines doesn’t seem to mind letting that spoiler-alert slip out—“that becomes pretty obvious pretty quickly,” he says.) Lavelle Johnson is double-cast as Rexy, as well as portraying Jason, Casey’s best friend from high school and current landlord. Christina Gardner plays Casey’s wife Jo. Jon Sidoli is Eddie, the bar owner with the drag-queen cousin (played by Mark Gideon, as we said). Opening night is Friday Nov.30, and performances will run Friday and Saturday at 7:30pm and Sunday at 2:00pm through December 16. There will be two "Pay What You Can" Thursdays for this production on December 6 and 13. Talkback sessions with Rick Dines and the cast will be offered after the Thursday Dec. 6 and Sunday Dec. 9 performances. And as always, Dines notes that there are complimentary post-curtain receptions following the first shows, Nov. 30 and Dec. 1. “The cast will be out to chit-chat and have wine and snacks” with the audience—which, it was agreed, will be well-deserved by the cast! Both Dines and Gideon call the show “110 very fast and furious minutes”, with no intermission—“and in some people’s case,” adds Dines, indicating Gideon, “18 costume changes... and nine wigs... and I don’t know how many pairs of shoes, in those 110 minutes! For a five-person play, there are more costumes and wigs than in most musicals we produce.” “If you see backstage you’ll think, ‘how many people are IN this show? !” says Gideon.” “There are tables and tables of just wigs backstage, just to get through the show,” adds Rick Dines. Tickets range from $22-$27 and are available at www.springfieldcontemporarytheatre.org or by calling 831-8001.